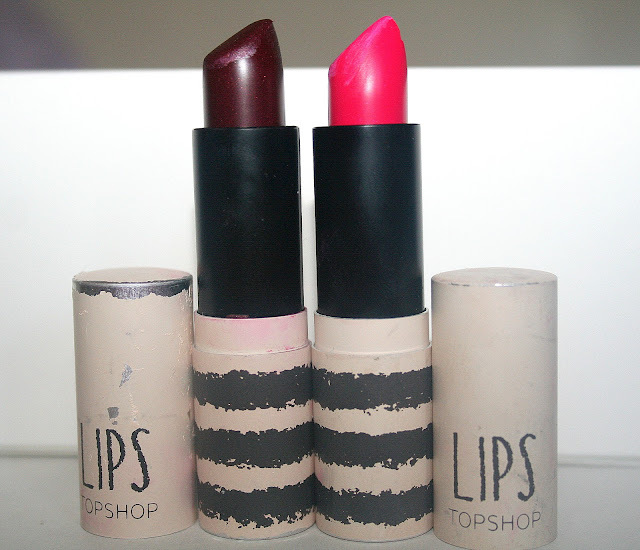 Bit late in the game maybe, but I am well and truly a Topshop make-up range convert. My personal favourite items from their range is obviously the lipsticks, holla my fellow lip junkies! 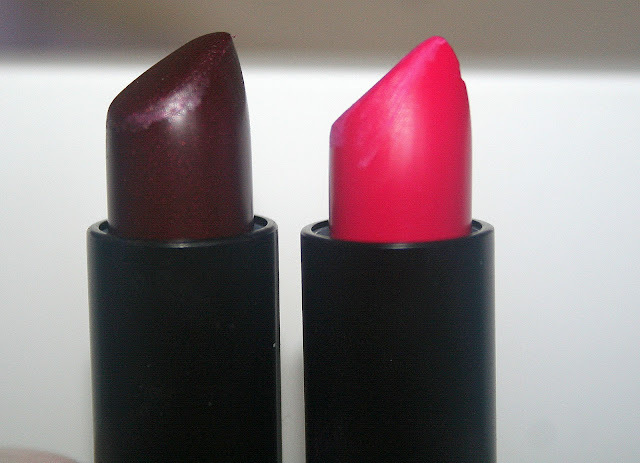 I currently only possess two in my ever growing hoard of cosmetics, but Beguiled has become a fast favourite, especially fitting for the autumn/winter period. I find myself picking it up almost daily, feeling bolder and braver every time I wear it, and its battered appearance is a result of having it always readily armed in my purse. You can see me wearing it here, here, and here. 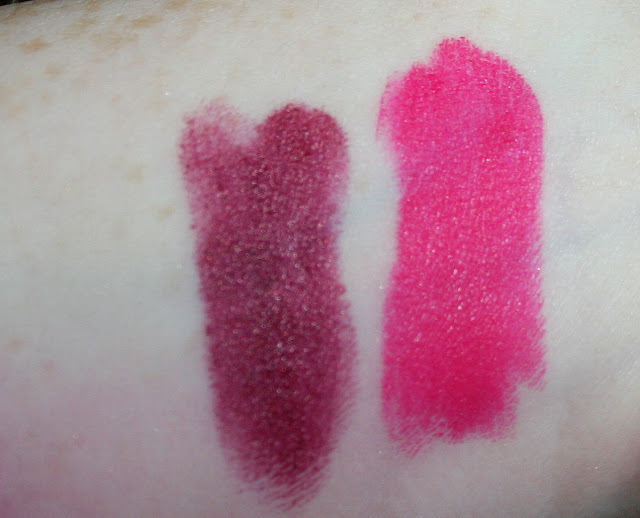 Beguiled looks a bit forbidding in tube form but once applied is a much softer plum with pinkish undertones. I find Topshop lipsticks highly pigmented and easily build-able for more of a statement lip which Beguiled is perfect for. Next up, All About Me. Pinks scare me. Hot Pinks especially. I'm extremely fair skinned with red hair and so I've always listened to the warnings of darker pinks and yellow clothing being off limits. However, I'm glad I rebelled and tried it out for myself. All About Me is an accurate title for this lipstick as it really won't fail to get you noticed. It leans slightly lilac in its undertones, and due to its vivid barbie-pink-come-bad-girl shade it can make teeth look slightly yellow compared to a blue-toned classic red but if you're up to date on dental hygiene you'll have nothing to worry about! 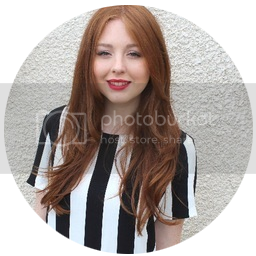 I love the bright pop of colour with a toned down eye look and pale blush. I normally slick it on when wearing a very understated outfit, say a classic LBD with a twist, or jeans and a slouchy jumper. I think this lipstick would look especially gorgeous on medium to dark skintones but us pale girls can reap its rewards to. 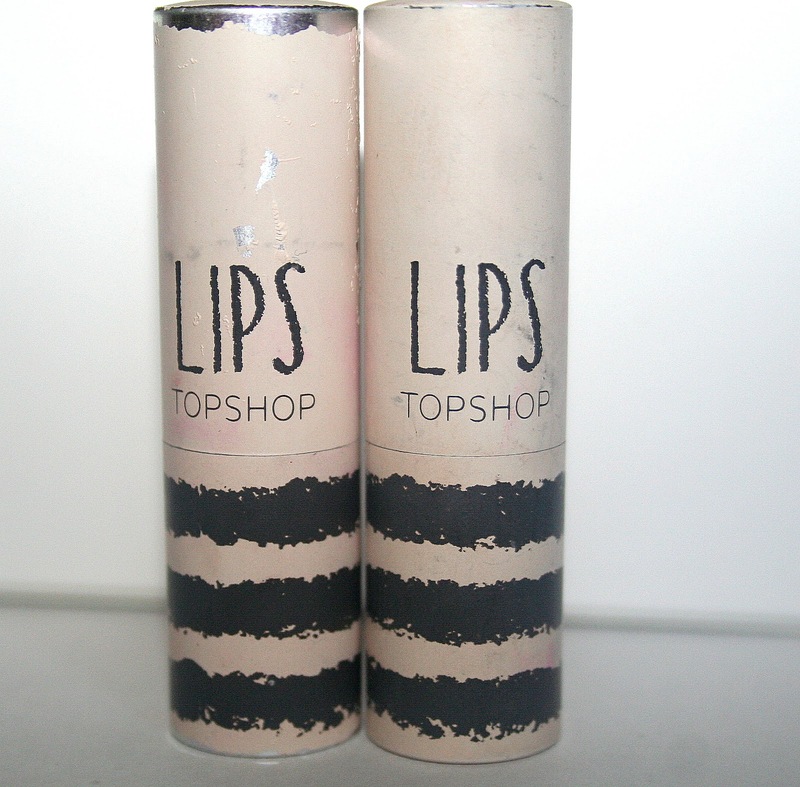 What are you favourite Topshop lippy shades? Loooove the look of Beguiled! Beguiled looks gorgeous :) I got Innocent free with a code a week or two ago and it is gorgeous, i love the formula! Such gorgeous shades of lipstick! I love topshop lipsticks but find them quite drying on my lips, really want to try beguilled but I'm nervous it'll wash me out! I love beguiled, I reviewed it on my blog too! I do find they dry my lips out though.